I just finished painting these new small originals of flies. I wanted to highlight the art of the fly in these paintings. 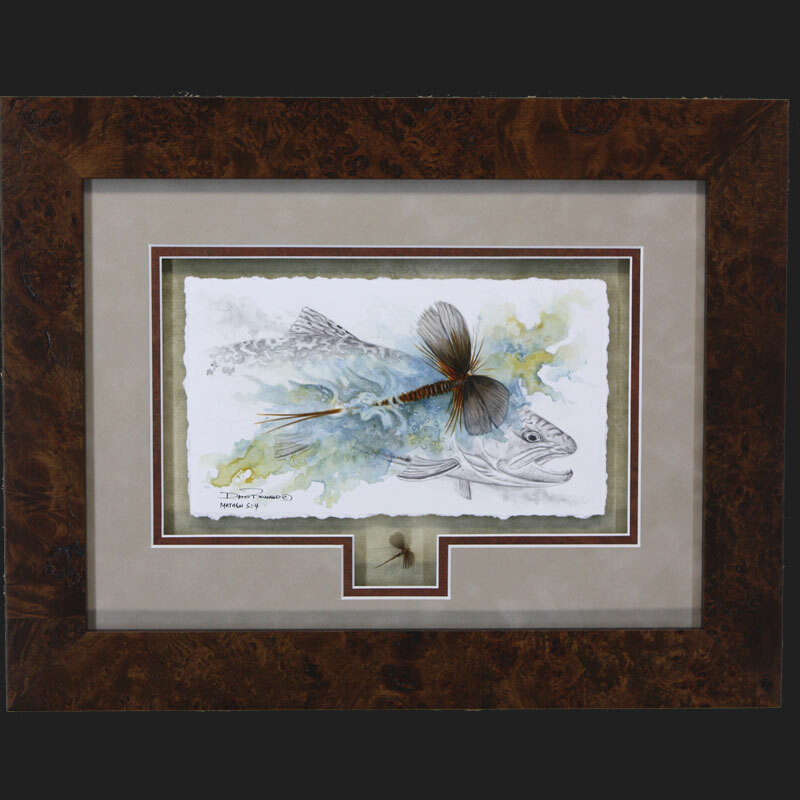 I painted these flies in full color with washes of acrylic paint and then painted the background of a trout in black washes. I use a lot of black & white in my original paintings to further tell a story of the painting. I really like the torn edge of the paper showing in a shadow box style and will sometimes place the fly I have painted below the original painting. If you have a favorite fly you would like to see in a painting contact me anytime. These are usually very small in size where they could be placed on a desk or on a small space on your walls. These also make great one of a kind gifts. You can send me the fly you wanted painted and I will shadow box it below the original painting.